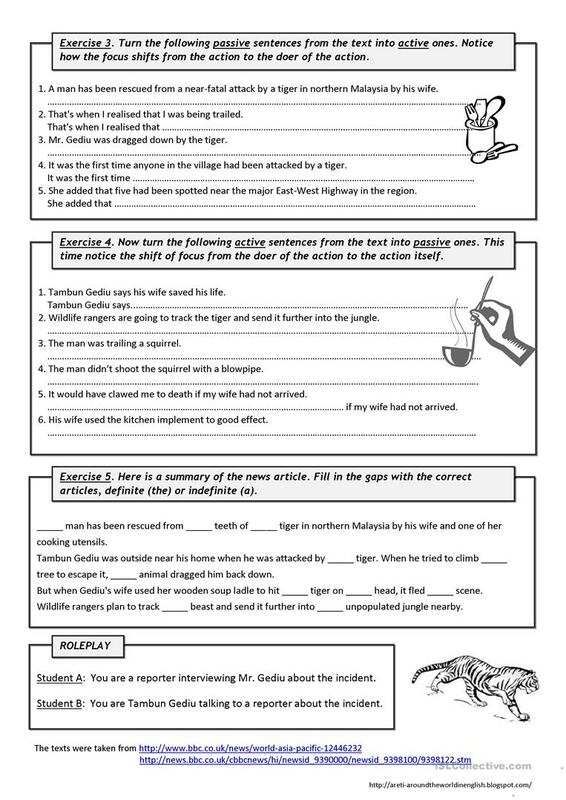 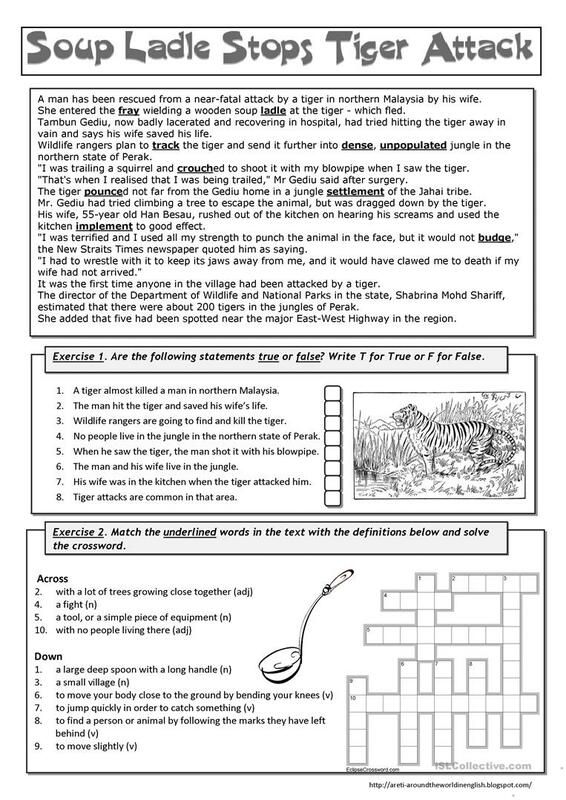 (2 pages + B & W copy + Answer Key) I always look out for interesting authentic texts for my students to practise grammar points in a natural meaningful context. 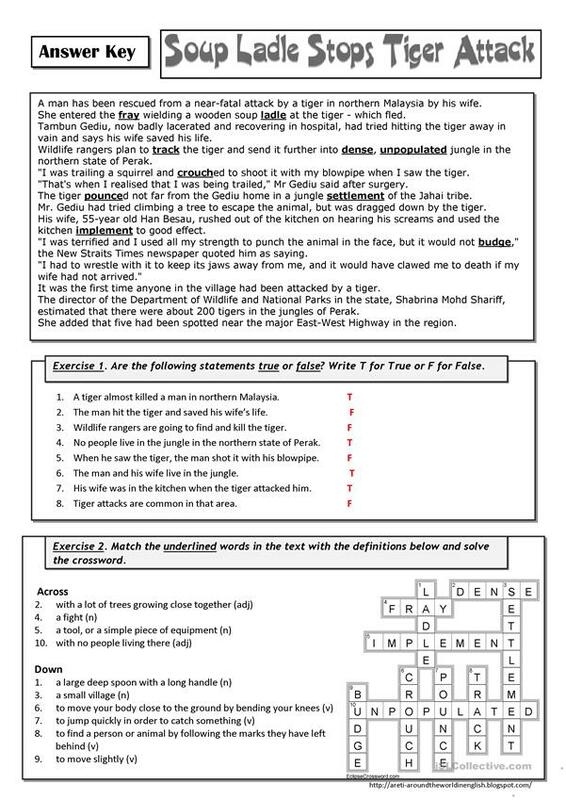 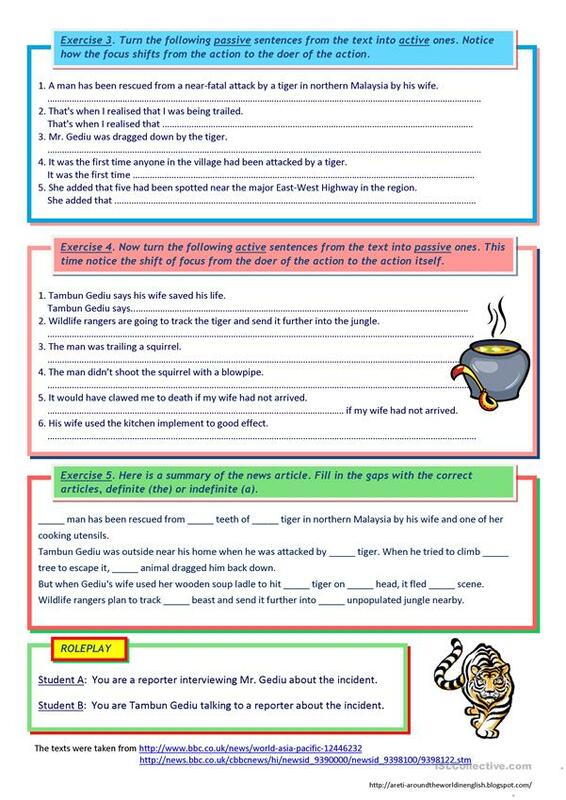 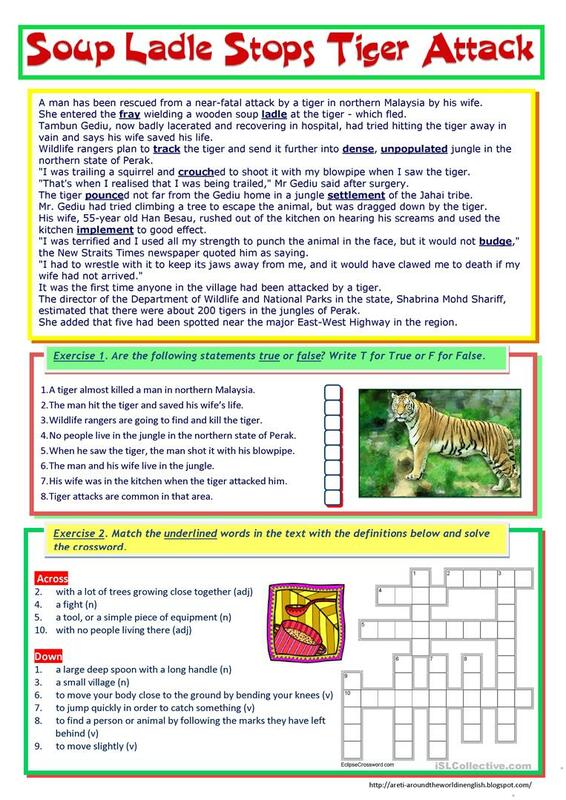 This worksheet, which is based on a BBC news article, contains a True / False comprehension exercise, a crossword puzzle, two exercises on passive voice, a cloze test to practise articles and a roleplay task. The present printable, downloadable handout is recommended for high school students, elementary school students and adults at Intermediate (B1), Upper-intermediate (B2) and Advanced (C1) level. 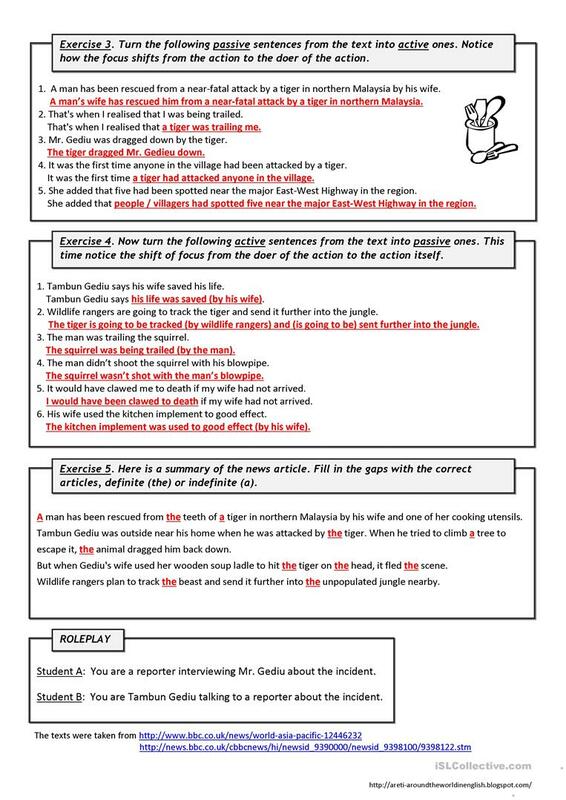 It is valuable for consolidating Passive voice or active voice in English, and can be used for strengthening your students' Speaking and Reading skills. You will find the solution at the end of the worksheet.